The Hub comprises five areas at present: the welcome area / arrival point; a games area;, a social area (the tree house); a kinetic sculpture (take parts and throw them to form an object) and a teleport area, all connected by a network of footpaths, with space to allow for further expansion (in fact, one area was marked as “under construction” at the time of my visit). 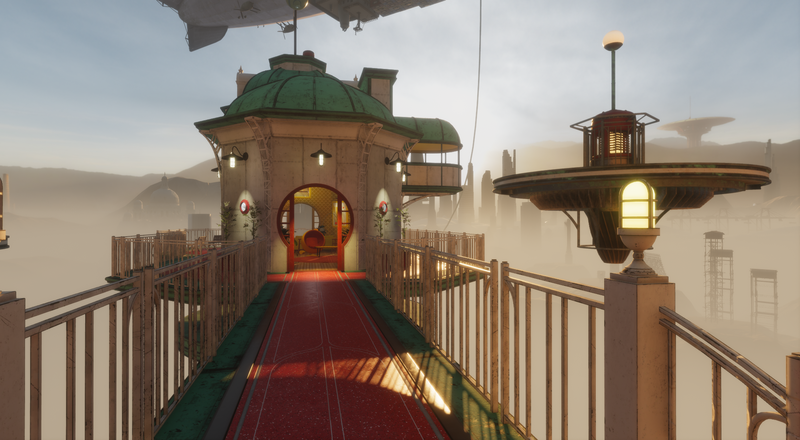 The games area offers a series of simple games that can be played in VR mode as well as (with some fiddling to get used to things) Desktop mode. I confess the 10-pin bowling to be fun – in that the bowling lane would appear to exist in its own local gravity field – when the pins are hit, the ten to fly up into the sky and then remain there until reset. The teleport area has (at the time of my visit) had three touch teleport portals, each of which appears to rotate through popular experiences on what appears to be a timed basis. 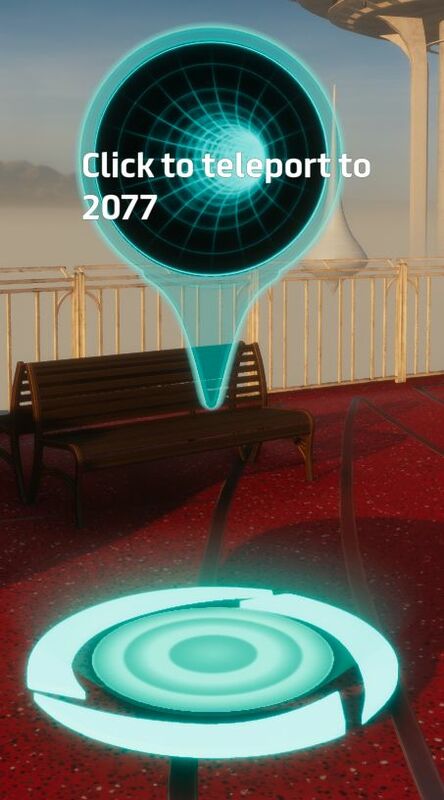 Hovering the mouse over a portal will display the current destination for a portal. The tree house offers seating for chat, etc, with more seating at the arrival / welcome area. Note that when visiting the Social Hub, and as with the Home Space, the free cam capability in Desktop mode (F4) is disabled. Given the ease of access from people’s Home Spaces, there is a potential for the Social Hub to become popular as a place to mingle and meet. Certainly during my own tour, there were around seven Greys (brand new avatars) who passed through – and interestingly, the ratio of VR to non-VR arrivals was biased towards VR (4 to 3). A further recent addition – I’m not sure which update it came with (R28.1, R28.2 or the current R28.3), is the Home Space seating now has sit point indicators for the chair (as does the Social Hub). These inverted triangles (or arrowheads) are displayed when the mouse is hovered over any object that has a sit point associated with it (see my R28 release overview for more on sit points), and the object itself is outlined in purple. Left-clicking on the object will cause your avatar to sit on it. 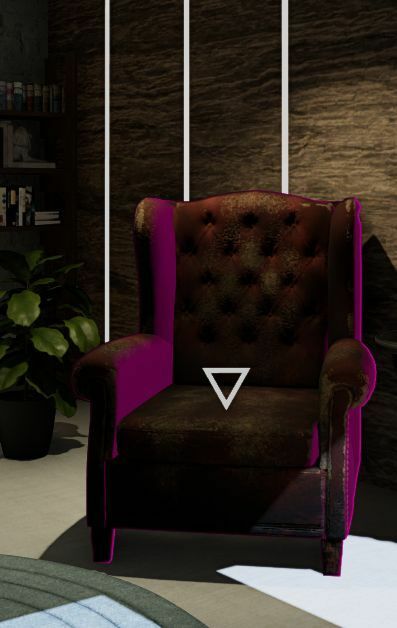 I assume these sit point indicators will become the norm as the sit point scripts are employed in all experiences – to be honest, I haven’t been in Sansar frequently enough since the R28 release to see how sit points are being used. The Social Hub is something that has been promised for a while, and it is good to see it delivered. Together with the log-in Home Space, it serves to make Sansar a friendlier place. Hopefully, it is a place new users will find comfortable and engaging – although a lot will perhaps depend on people being there and willing to help out. I agree with you on the Clay Grays. They are not pretty, and thus unlikely to be a good way of introducing all that which Sansar can be. Also, during tests of a project I’m working on, I’ve had users nervously ask “why am I naked?” Which might indicate that they also make some users uncomfortable in the environment. The naked aspect hadn’t occurred to me; it’s an interesting point.